SIU Athletics has rescinded new language in the Student Athlete Code of Conduct that said any displays of activism will not be tolerated and could lead to the individual’s removal from their respective program. 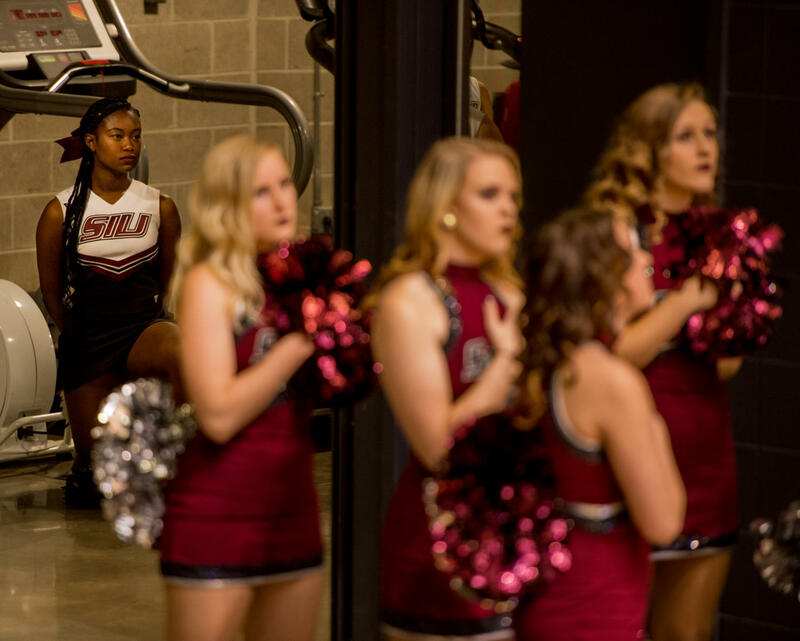 “It is a privilege and not a right to be a student-athlete, cheerleader or spirit member at Southern Illinois University,” according to the rescinded addition originally provided by Liz Jarnigan, SIU Athletics senior woman administrator. Tom Weber, associate athletic director over communications, said that the purpose of the addition was to display unity and to provide a positive experience for student-athletes and Saluki fans. Weber said given the community feedback it appeared that athletics “somewhat missed the mark” and do not plan to use it as currently written but would revisit the addition at a later date. Praise and criticism for SIU Athletics has been voiced on social media after the Daily Egyptian released the story on the addition Tuesday. Questions and concerns over the language used arose from national organizations, such as the American Civil Liberties Union. “Southern Illinois University’s new policy suggesting that players or cheerleaders could be removed from their respective program for peaceful ‘displays of activism’ falls short of the critical responsibility of a public university to honor and protect free speech rights for their students,” said Ed Yohnka, Director of Communications and Public Policy at the ACLU of Illinois. William Freivogel, a media law professor at SIU, said the addition to the Code of Conduct does not make sense. Magarian said he does not believe either of those situations are viable on their own terms. Yohnka said it is more troubling that the policy specifically suggests such displays will not be tolerated on a political issue. Magarian said the university picking and choosing what speech to ban creates an issue. Magarian said the claim that this is about sports, not about politics, is incoherent. Weber said the department will be working with student-athletes to turn the language into a positive values statement related to the focus and purpose of athletics. The point is that police are killing black men for little provocation. Stop that, not protest! SIU is a joke. When you are afraid to tell a student this is America, here are the rules, you might as well shutter the place. I was a proud alum but since the monkeys now run the zoo, I am done…no more $$$ responses to appeals. Have a scholarship in my name, wish I could stop it. America is about free speech. Politics these days, at SIU and in the White House, need to be re-evaluated. I wish you could stop that scholarship too. Clearly you have no idea what an education is supposed to be about. Land of the Free…if you dont like it…you can leave? That’s what y’all like to say right? This is America, here are the rules. It’s called the Constitution. And I’m sure for every racist authoritarian like Larry in this comment section, another two alumni and community members are glad that SIU’s administration reversed its assault on peaceful dissent. We’re neither the land of the free nor home of the brave if nationalism is forced upon those who have legitimate grievances against how our country has been treating themselves and their fellows. Kudos goes out to the ACLU of Illinois for their advocacy on behalf of student’s 1st amendment rights. I may not agree with what you say, but I’ll defend your right to say it as I would any other part of our Constitution. We are Americans because of the laws and rights we have to protect freedom of speech, protest, press… As long as it is non-violent I think its fine. I don’t like it personally, but to prevent it makes us no better than North Korea, Iran, or any other totalitarian government. I’m a two-time graduate of SIUC and current A/P staff member. Kudos to Athletics Director Jerry Kill and SIU Athletics Senior Woman Administrator Liz Jarnigan for attempting to resolve this issue in a manner which prohibits anyone associated with Athletics from protesting the National Anthem while in an official capacity for the University. This IS NOT a Free Speech/First Amendment issue. ANYBODY, including the cheerleaders at issue or ANY athlete, may protest ANY issue they wish, ANYTIME on their OWN TIME. However, when representing the University, they are expected to abide by certain rules and display appropriate behaviors as determined by the University. The resolution in this matter is to abandon the currently proposed language in this policy, and simply state something to the effect of, “Person associated with Athletics will stand and follow official protocol during the National Anthem and other patriotic displays while in their official capacity and when representing Southern Illinois University Carbondale.” Period. Monkeys run the zoo? Definite racism. Are you angry that people might speak up about injustice? Seems like mostly you are angry that black people want to protest unfairness. How does someone taking a knee affect you whatsoever? It’s funny that you say this is America yet you advocate for denying first amendment rights. Wow, someone is extremely self-important. Over-privileged old white guy for sure. You’re the type that make us all look bad. I suggest you consider what the lives of others might be like before you get pissed that they have the audacity to protest the systematic abuse and murder of their race. Basically, a cowardly retreat after attempting to impose an authoritarian agenda in the spirit of Rita Cheng. If SIUC does collapse it will be due to the actions of higher administration who show no concern either for the Constitution of the United States in their initial attempts to ban a protest protected by the Bill of Rights nor supporting education, rather than Sports with its $4 million dollar annual deficit. Not clear what you mean, Larry (if I may). Could you kindly explain? “This is America, here are the rules…” Are you referring to “rules” in the sense of our constitutional protections of free speech and open protest, which form a pillar of our democratic system and were bruised in this affair? Or are you referring to “rules” as collective flag and anthem rituals we sometimes employ in public settings, which have become a site for expressing political frustration? Anthem and flag rituals have nothing specific to do with “America.” Nazis and Italian fascists and pretty much every country in the world have the same. I just can’t tell from your language which way you are going. 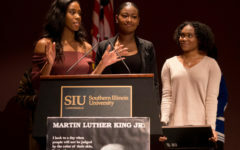 I’d hope that, if you graduated from SIU and especially if there’s a scholarship in your name, that you’d celebrate these young people who do seem to have grasped what SIU is all about, whether or not you agree with them. As an alum from the turbulent 1960’s I find this policy more than disconcerting. We marched,, we protested, and often times we were heard. We were able to meet visiting personalities from many sides. This policy is revoking freedom of speech. Please move forward and get rid of this suppression!